AlphaGo neural network developers from the DeepMind, company which is owned by Google, are going to teach artificial intelligence to play poker. In this project they explain how to use learning algorithms of AlphaGo, by means of which they plan to teach a neural network to play two kinds of poker: Leduc Hold’em and Texas Hold’em. 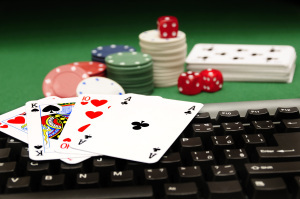 Playing poker is a very complex task for artificial intelligence, as a major aspect of the game is psychology. The poker playing usually more than two people and this complicates the task of probability calculations for the neural network. The first tests will be carried out at the game with the neural network itself. Neural Network AlphaGo, created by DeepMind has gained four victories in a series of five matches of GO game against Lee Se-dol – a Korean professional with 9 dan, the winner of the “Go” at the Summer Asian Games 2010. It should be noted that the experiments in this area have been carried out for quite a long time. For example robot dealers developed by Paradise Entertainment do not only look “like a humans,” but also can be a major casino workers in the United States.